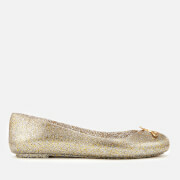 Women’s ‘Space Love 20’ ballet flats from the Vivienne Westwood for Melissa collaboration. 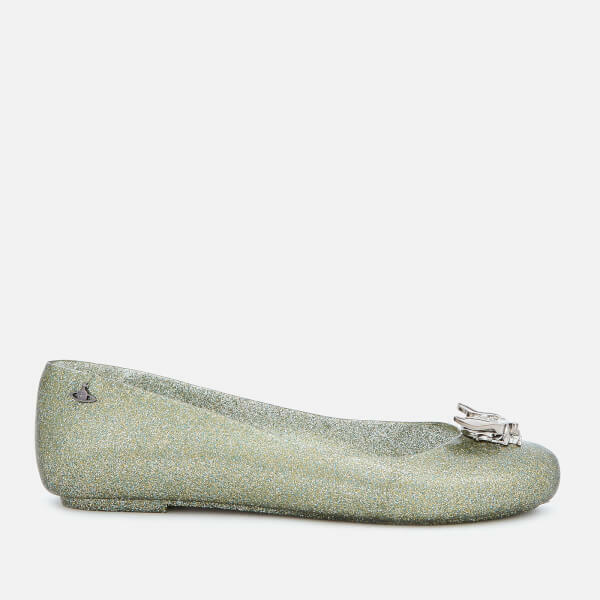 Crafted with super-soft Melflex in a glitter finish, the pale green pumps boast a slip-on style with a rounded toe and a padded insole for comfort. 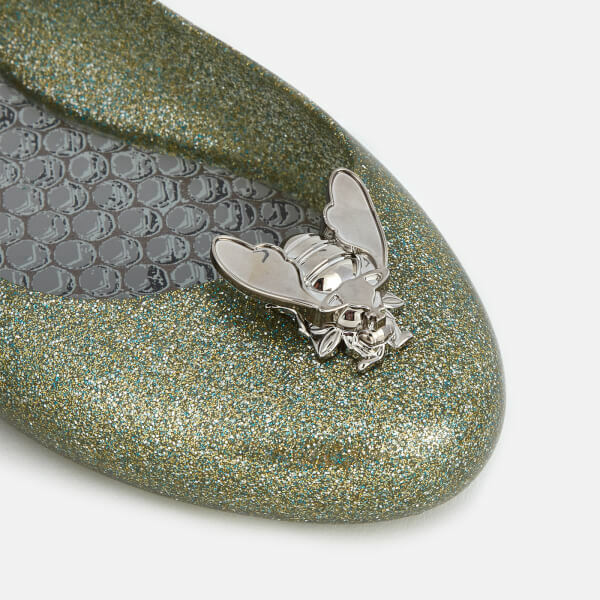 Set upon a ridged sole with a slight heel, the shoes are completed with a silver-tone metallic bee adornment to the toe. Signature orb branding at the heel. Upper: Melflex Plastic. Sole: Synthetic.